Reviews that have informed international guidelines. In Africa, where resources are limited and burden of disease and ill-health high, it is important to not waste scarce resources and to weigh up the benefits and harms regarding different types of care. Guideline developers and policy-makers need well conducted, up-to-date systematic reviews to provide the best evidence for inform healthcare decision-making. By visiting the Cochrane library you can read these and other Cochrane systematic reviews by clicking here. Two high-priority reviews completed by the West Africa hub were used to formulate recommendations in the World Health Organization Guidelines for the treatment of malaria, the most recent was in April 2015. Esu E, Effa EE, Opie ON, Uwaoma A, Meremikwu MM. 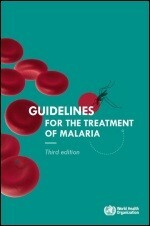 Artemether for severe malaria. Cochrane Database of Systematic Reviews 2014, Issue 9. Art. No. : CD010678. DOI: 10.1002/14651858.CD010678.pub2. Meremikwu MM, Donegan S, Sinclair D, Esu E, Oringanje C. Intermittent preventive treatment for malaria in children living in areas with seasonal transmission. Cochrane Database of Systematic Reviews 2012, Issue 2. Art. No. : CD003756. DOI: 10.1002/14651858.CD003756.pub4. The Evidence to Inform South African TB policies: EVISAT Project - To contribute to evidence-informed policy development in South Africa, the EVISAT: Evidence to Inform South African Tuberculosis policies project, led by the CEBHC, provided oversight, quality assurance and management for the conduct of robust systematic reviews on the epidemiology of and programmatic response to Tuberculosis (TB) in South Africa, while taking stock of international systematic review evidence on strategies to prevent, diagnose, manage and offer services to those with TB. A review on the efficacy and safety of abacavir-containing combination antiretroviral therapy for HIV-infected children was used in the WHO HIV guidelines – directly informing policy and practice in the region and internationally. Adetokunboh OO, Schoonees A, Balogun TA, Wiysonge CS. Efficacy and safety of abacavir-containing combination antiretroviral therapy as first-line treatment of HIV infected children and adolescents: a systematic review and meta-analysis. BMC Infect Dis 2015;15(1):469. Kredo T, Adeniyi FB, Bateganya M, Pienaar ED. Task shifting from doctors to non-doctors for initiation and maintenance of antiretroviral therapy. Cochrane Database of Systematic Reviews 2014, Issue 7. Art. No. : CD007331. DOI: 10.1002/14651858.CD007331.pub3. Kredo T, Ford N, Adeniyi FB, Garner P. Decentralising HIV treatment in lower- and middle-income countries. Cochrane Database of Systematic Reviews 2013, Issue 6. Art. No. : CD009987. DOI: 10.1002/14651858.CD009987.pub2.